Well if you start a debugger you might notice that it is codeunit 5054, function WordHandler that is causing it. Navision is freezing while waiting for Word to close. 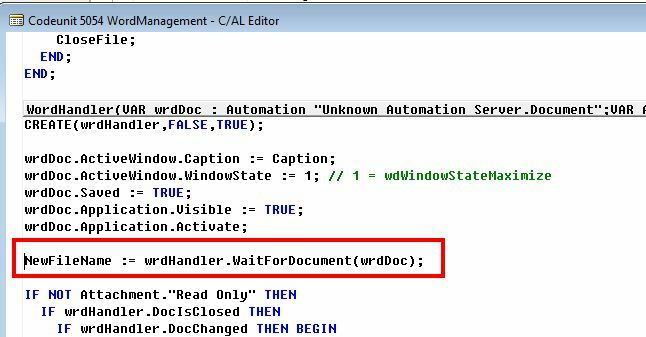 The call wrdHandler.WaitForDocument(wrdDoc) does never receive a notice from Word, when it is being closed and thereby Navision is freezing. So why does the wrdHandler never get an answer? Well it is often caused by the Microsoft Office installation. If you open Word separately you might get an warning about macro support not being installed and here we have the reason. 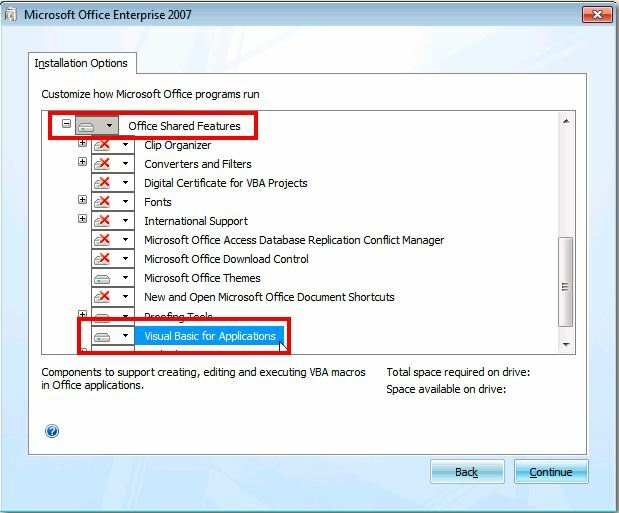 If you go into the Microsoft Office Installation and look into Office Shared Features, you will noticed the Visual Basic for Applications is not installed. When Visual Basic for Applications is not installed, then Word is not returning any information to other Applications that are executing it.